Cool.As.A.Cucumber! Take a 'dip' into this healthy and quick recipe that's filled with healthy fats from avocado and tahini. Enjoy as a spread on sandwiches, wraps, salad, or a dip for finger foods such as fresh veggies! 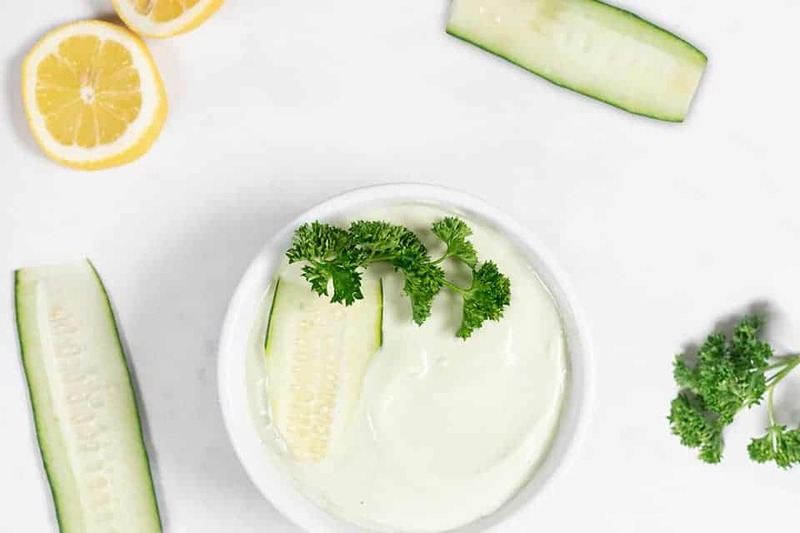 Place the cucumber, tahini and coconut yogurt into the blending bowl. Pulse blend until ingredients are evenly mixed. Add the dill, parsley, garlic and salt. Squeeze the juice from half a lemon. Blend until distributed evenly. Place sliced avocado on top (or blend in if you prefer.) Add red pepper flakes on top if desired. Place in fridge to let cool for 20 minutes, then enjoy!